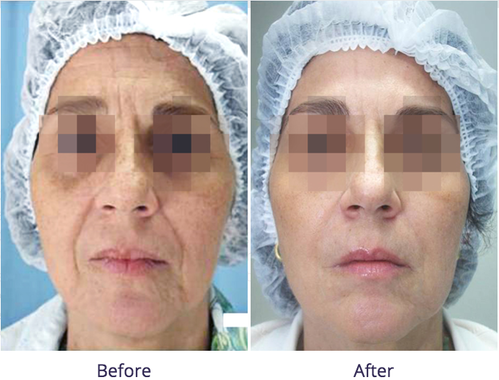 Skin tightening is a very popular procedure that provides a nonsurgical alternative to improving skin quality. Skin tightening is a great option for patient with mild to moderate loose skin that want to achieve a more youthful look and fight signs of future aging. This procedure is commonly performed on the face, neck, hands, and arms.During treatment, our Astanza ReVive NIR handpiece emits harmless infrared light that heats up the sub-dermal layers of skin, stimulating the growth of new collagen. this creates a tightening effect that improves the skin's appearance and texture, giving you a younger, firme, and healthier complexion. Skin tightening is a quick and easy procedure that lasts only a few minutes depending on the size of the area being treated. Side benefits of this procedures are the removal of wrinkles, fine lines, and other unwanted skin blemishes. Our ReVive NIR handpiece is safe to use on all skin types and delivers great results after just a few treatments.